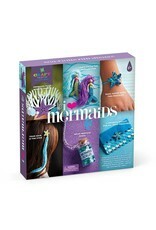 Craft-tastic I Love Mermaids Kit - Grow Children's Boutique Ltd. 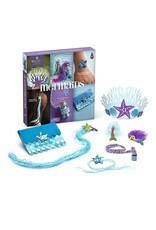 There's lots of 'sea-rious' fun inside this box. 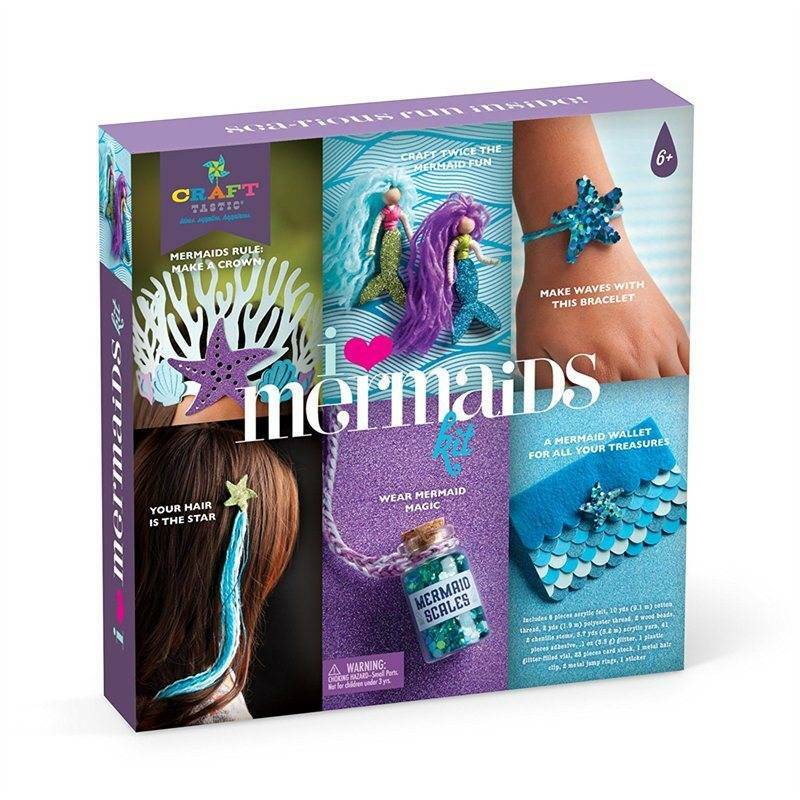 Projects include a mermaid bracelet, mermaid crown, star hair accessory, a mermaid wallet that holds all their treasures - and more. 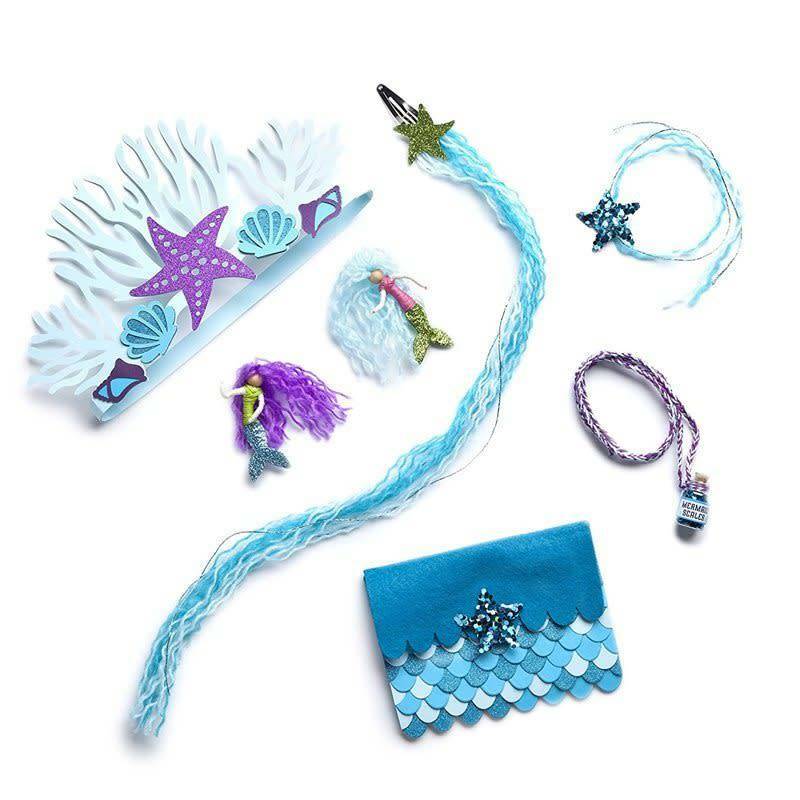 Each project is fun, easy-to-create and is just what every little mermaid needs. 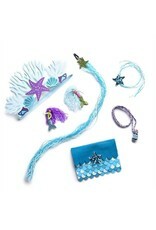 Sea for yourself! Makes six adorable crafts. 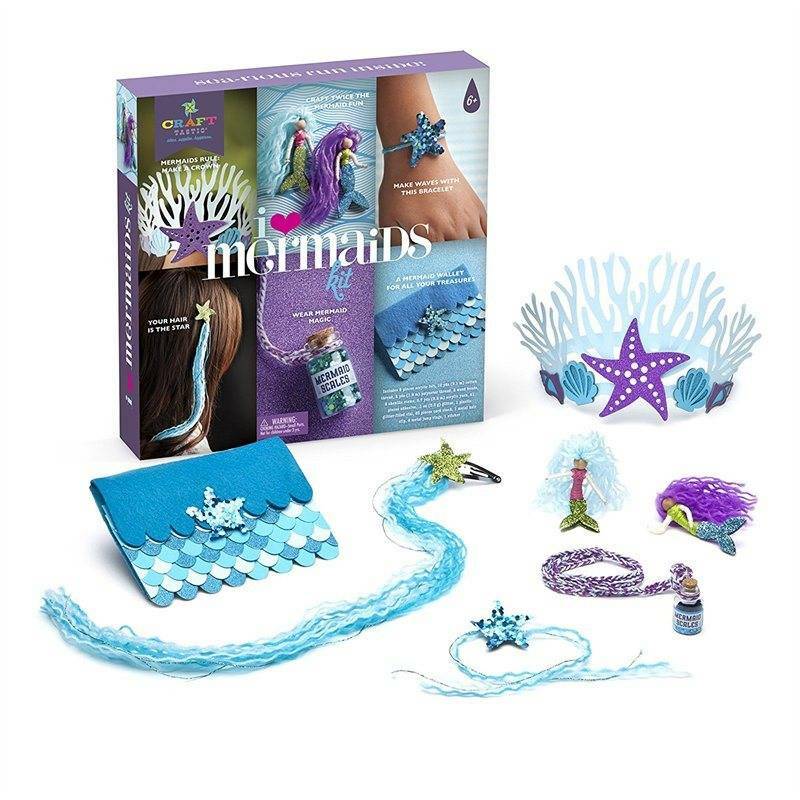 Includes 8 pieces acrylic felt, 9.1m cotton thread, 1.9m polyester thread, 2 wood beads, 2 chenille stems, 5.2m acrylic yarn 41 pieces adhesive, 3.5 grams glitter, 1 plastic glitter filled vial, 23 pieces card stock, 1 metal hair clip, 2 metal jump rings, 1 sticker.